Sweet dreams and restful sleep are also fashionable when you have the Joyce faux leather contemporary platform bed in your home. 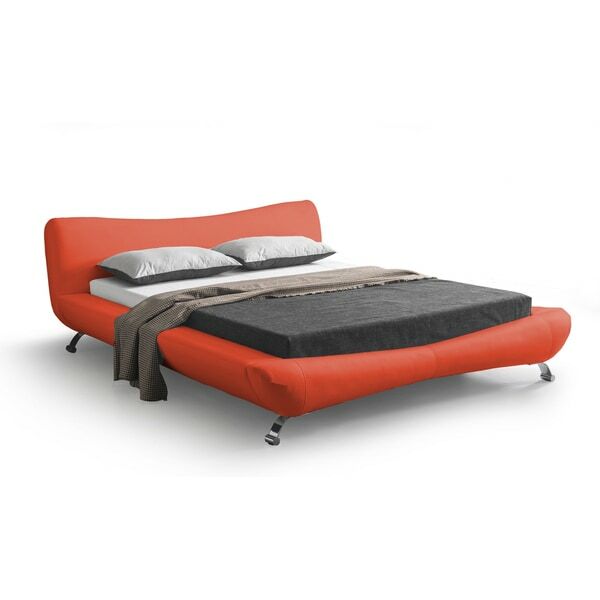 The chrome legs are also adding modern accent to the bed. The bright color of the upholstery and headboard also creates a wonderful color contrast with any kind of mattress and bedding style, making it an exquisite addition that will complement any kind of bedroom decor.Soft and durable, the leather finish is easy to clean up and hides stains. The padded headboard is perfect for reading or watching television in bed. "Is the bed actually "red", or more orange, like it looks in every web picture of it?"